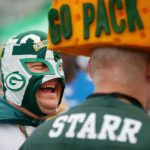 Photos From The Green Bay Packers vs Tennessee Titans NFL Football Game. Lighting is a major part of photography. During my commercial photography or advertising photography photo shoots I have a truck full of lights and light modifiers to create the light I want, but in sports photography for the most part you have to deal with the light that’s given to you. On Sunday during the Green Bay Packers vs Tennessee Titans the lighting gods shined down on my end zone. 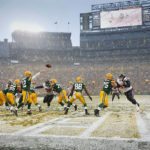 When Green Bay Packers quarterback Aaron Rodgers took the ball in the red zone and ran it in for a touchdown it was amazing light. Okay maybe my editor and I were the only ones that saw it that way. The fans just saw it as a great play by a great quarterback, but to the photographers looking at my blog look at that light on that series of pictures. Crazy light accomplished by low late December light bouncing off the glass of the luxury boxes back on to the field. Okay enough talk about the light. 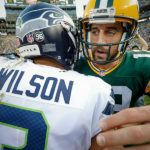 Here are some of my favorite photos from a blow out win by the Packers. Plenty of action on my end of the field. 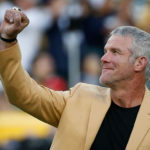 The Packers won’t find out till after the final week of the season if they will host a game in the wild card round or the divisional round. I just hope that whenever the game is we either have amazing light like this again or a blizzard like we had a week ago. I’ve shot enough games in boring flat overcast light. Happy holidays to everyone and thanks for looking! Green Bay Packers wide receiver Donald Driver get the fans fired up. Hmm, he and I use the same brand of hand warmers. 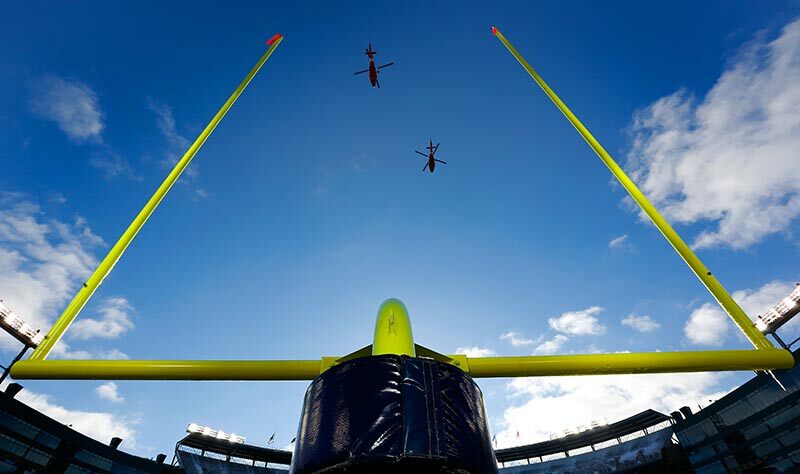 Fly over of Coast Guard helicopters. 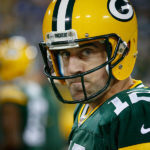 Green Bay Packers quarterback Aaron Rodgers in some amazing light before running the ball in for a touchdown. 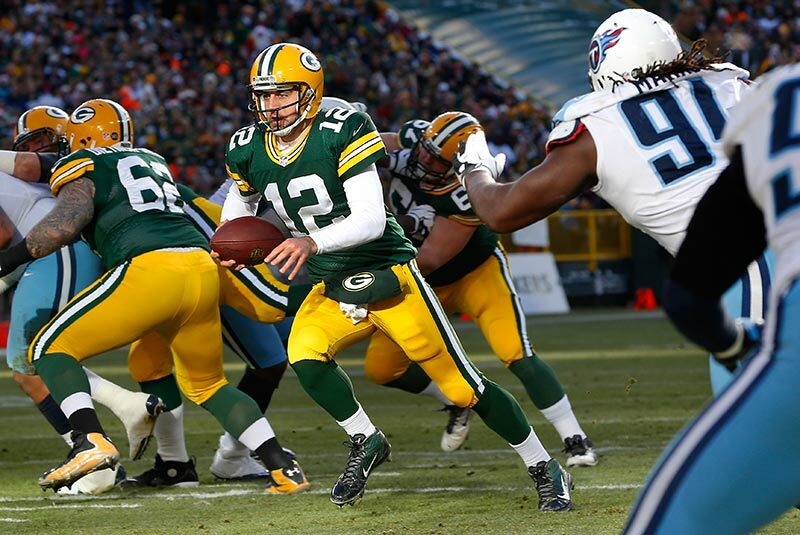 Green Bay Packers quarterback Aaron Rodgers gets through the Titans line for a touchdown. Tennessee Titans defensive tackle Sen’Derrick Marks can’t stop Green Bay Packers quarterback Aaron Rodgers from reaching the end zone. Green Bay Packers quarterback Aaron Rodgers celebrates his touchdown with a Lambeau Leap. Green Bay Packers outside linebacker Clay Matthews sacks Tennessee Titans quarterback Jake Locker. Green Bay Packers cornerback Jarrett Bush celebrates a special teams play. 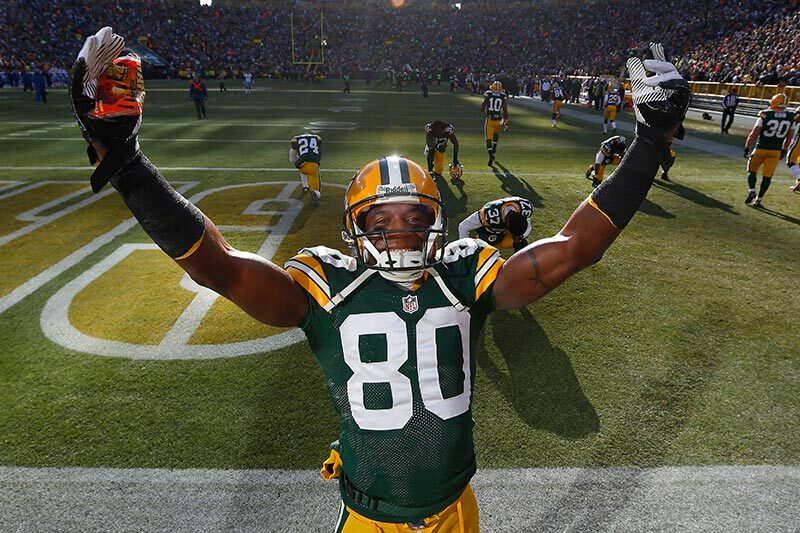 Green Bay Packers wide receiver Randall Cobb celebrates a touchdown with Greg Jennings and D.J. Williams. Green Bay Packers wide receiver Randall Cobb celebrates his touchdown with Jordy Nelson. Green Bay Packers defensive tackle Mike Neal sacks Tennessee Titans quarterback Jake Locker. Green Bay Packers outside linebacker Erik Walden celebrates his interception of a Tennessee Titans quarterback Jake Locker pass. 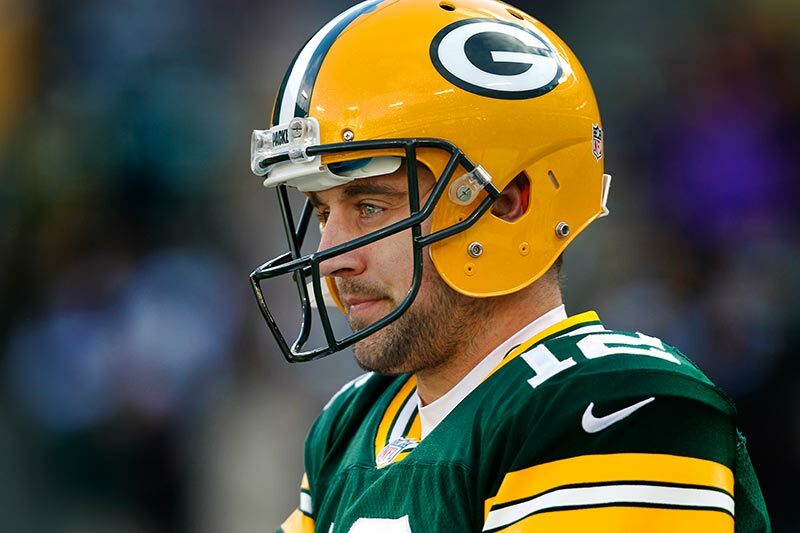 Just another shot of Aaron Rodgers, but I just love the light, the background and the breath. Packers fan jeff Kahlow watches the game. The Packers defense can’t pull in a hail mary pass to end the first half. Tennessee Titans defensive back Tommie Campbell chases after Green Bay Packers wide receiver Randall Cobb. Green Bay Packers wide receiver James Jones dives into the end zone for a touchdown. Green Bay Packers wide receiver James Jones celebrates his touchdown as Tennessee Titans cornerback Alterraun Verner sits dejected. Green Bay Packers wide receiver James Jones does a Lambeau Leap to celebrate a touchdown. 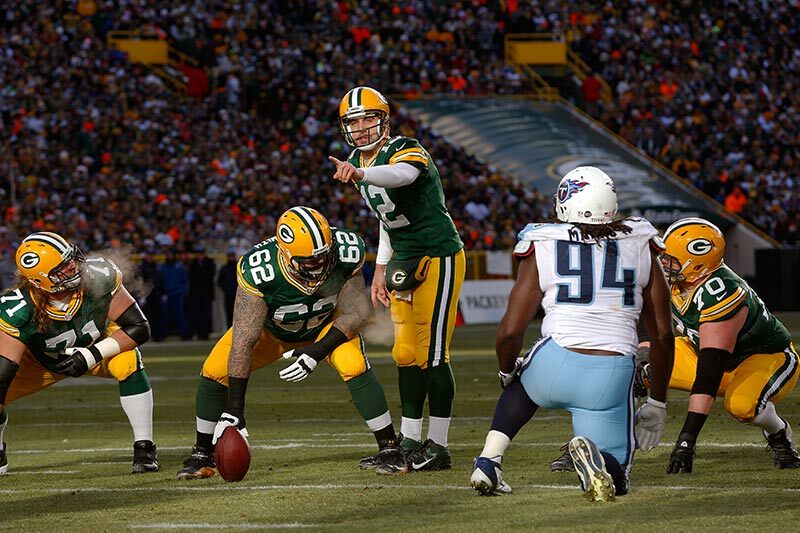 Green Bay Packers cornerback Sam Shields sacks Tennessee Titans quarterback Jake Locker. Green Bay Packers cornerback Sam Shields celebrates his sack of Tennessee Titans quarterback Jake Locker. Green Bay Packers wide receiver Jeremy Ross runs behind the blocking of Jamari Lattimore as Tennessee Titans punter Brett Kern tries to defend on a punt return. Green Bay Packers running back Ryan Grant runs through the Titans defense for a score. Green Bay Packers running back Ryan Grant celebrates his touchdown. « Green Bay Phoenix Defeats The Marquette Golden Eagles.